Figurines, glassware, linens, home decor and so much more are available at this condo sale. 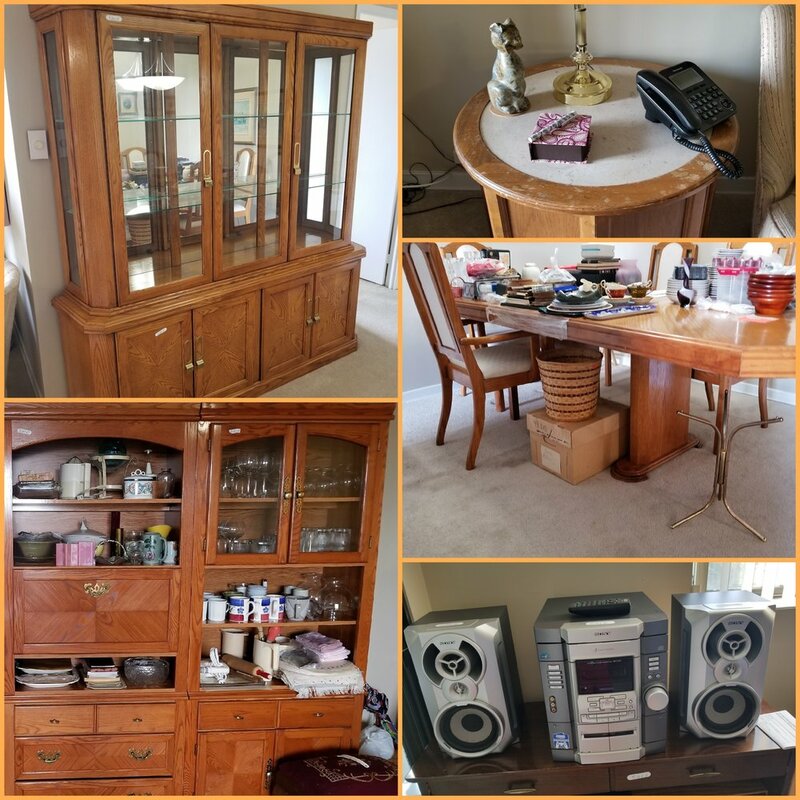 Larger items include, 2 piece wall unit, pantry, hutch, dining table with 6 chairs, brand new queen bed and even a new Kenmore refrigerator! Unit details will be provided after RSVP. There is ample parking in the area for this sale!